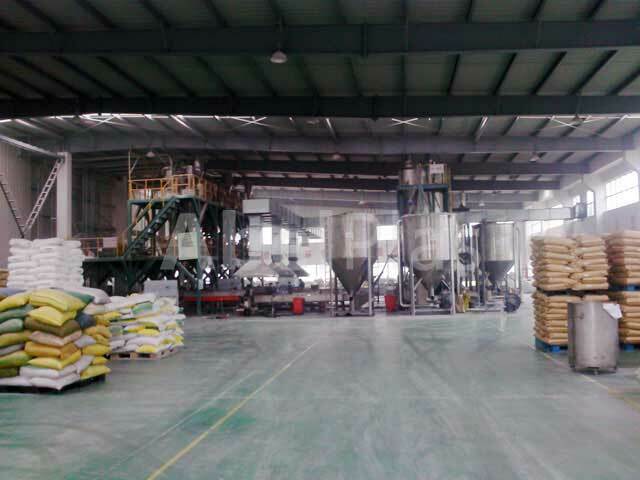 Main material is fed into 3 electronic balance and then mixer by rotary valve below store house. 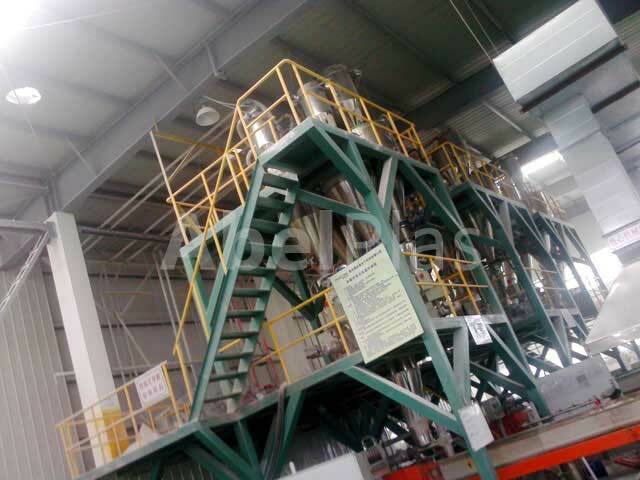 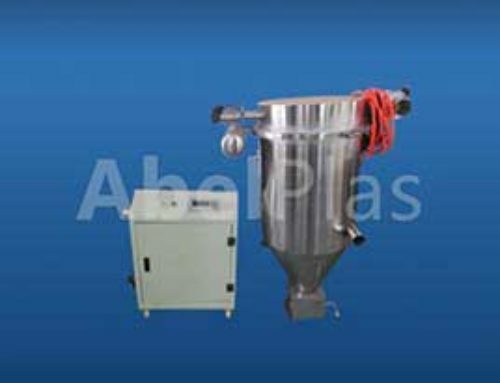 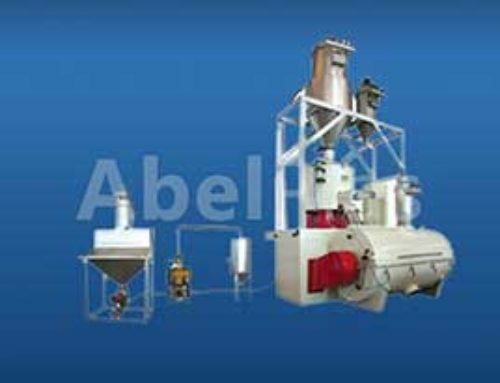 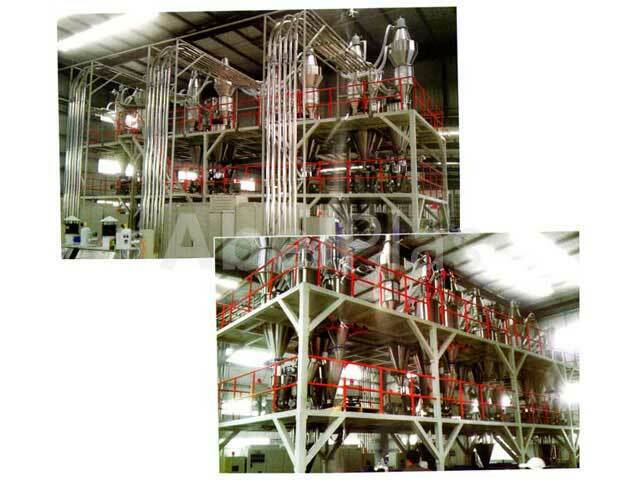 Auxiliary materials are fed by step in feeder after manual measuring. 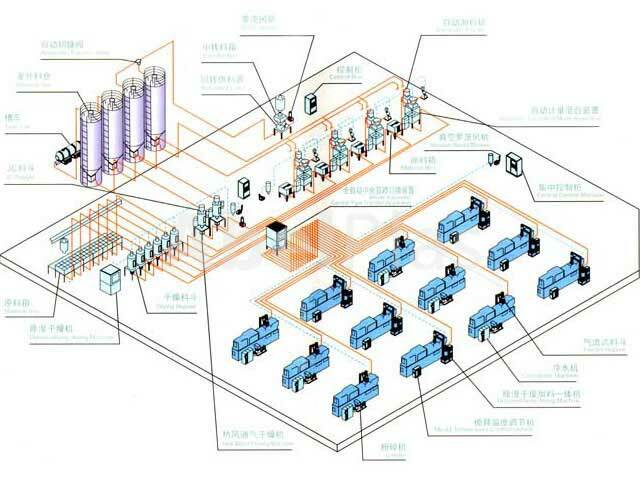 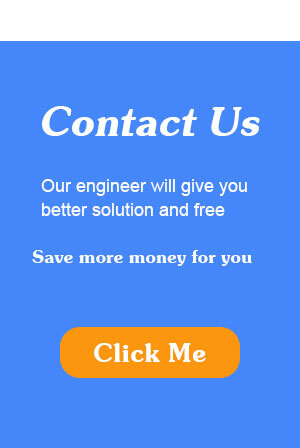 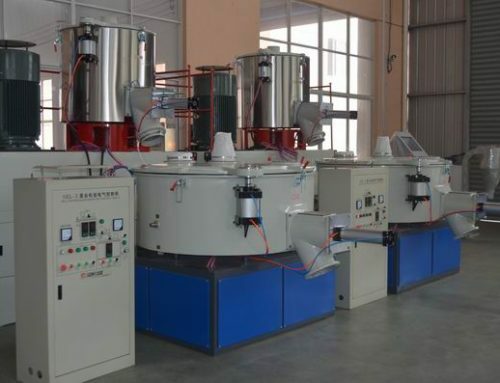 When mixer ask auxiliary materials, the pneumatic board valve come to open, step in feeder starts, infrared ray test the material overpass, step in feeder stops, time-lapse stop pneumatic board valve. 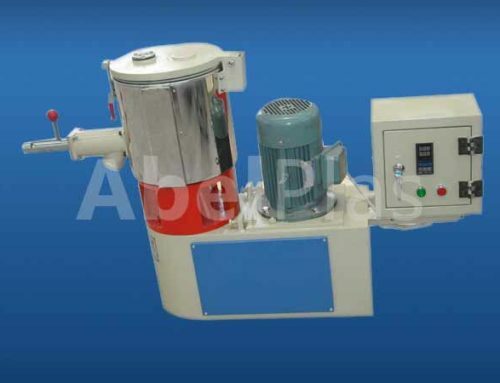 PVC, dry material and broken materials will be clean by an impulse dust catcher; this device can adjust pulse frequency and width.